The Nylon/Brass Hammer is likely to become your favorite hammer at the bench or on the range. Nylon face is non-marring and is great for alignment and other uses where a steel hammer is not appropriate. Brass face can be used for driving pins and punches, and a multitude of other uses. 11" overall. Weighs 8 oz. 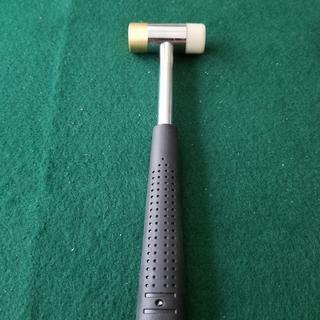 It's a hammer. It hammers things.... what more do you want from me? This thing is really well made, no crap at all. It's a perfect tool for anything or any type of project l like it.